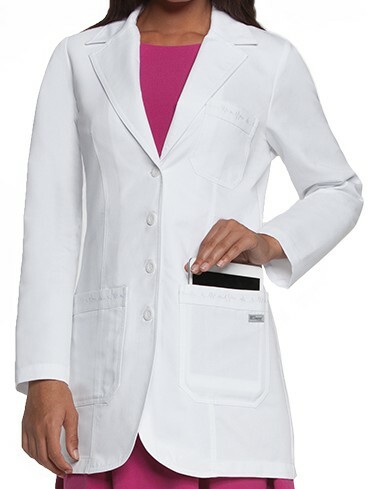 This Grey's Anatomy Women's lab coat features 3 pockets, belt tab back, and princess seams. Length is 32". Made of 80% polyester / 20% cotton PCH twill.